Cover image courtesy of the Cambridge University Press and the Hemingway Letters Project. The author of celebrated novels like The Old Man and the Sea, The Sun Also Rises, and For Whom the Bell Tolls, Ernest Hemingway is an American icon, one whose biography remains as much an object of attention as his literary works. Over the course of his life, Hemingway wrote more than 6,000 letters, postcards, and telegrams; 85% of them have remained unpublished, held by private collectors and in archives. 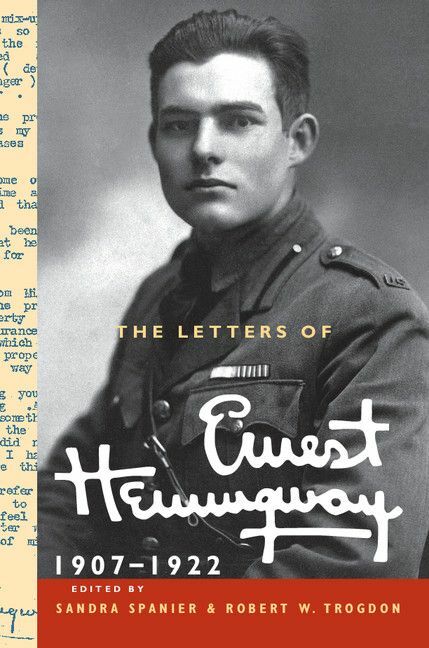 With significant funding from the NEH, the Hemingway Letters Project is bringing these letters together, offering an intimate look at Hemingway’s life through a 17-volume collection of his correspondence. So far, 3 of the 17 volumes have been published to wide acclaim, with Vanity Fair describing them as “a literary treasure trove” and the New York Times Book Review declaring them “a spectacular scholarly achievement.” While the collection is of immense scholarly importance, Hemingway’s iconic status makes them of real public interest as well. The NEH’s support ensures that his collected letters remain affordable and available to the public.